Im here today with a wee sneeky peek at one of my creations I have made for the Create and Craft Shows on Tuesday 14th at 12noon and 5pm for The Paper Boutique Design Team. Todays creations are my Rainbow Card and Candle Set. I used the super A6 Stamp Set for this creation. I also used the amazing black card thats also available too from Creative Crafting World. I have to say its the smoothest paper Ive used in a long time. Lovely to the touch. I know lots of you are the same as me and love to stroke the papers!!!! Tall Card - Creative Crafting World. Owl from Paper Boutique Set. My tutorial for decorating a candle is here! I will be back again tomorrow for another sneeky peep. 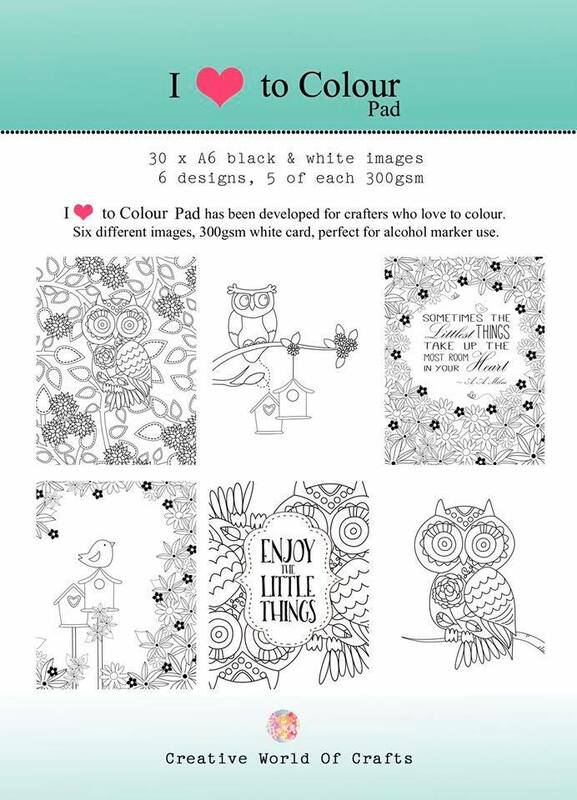 Before I go you could win a fabby A6 Paper Pad set that's about to be released on Tuesday!!! You can win one in a few ways. Pop over to the Creative Crafting World Blog and join the fun!!! Or Pop over to the Facebook Page and play along there. Thats Crafty - Bling it Up. Moving Along with the Times- Rainbows. OMGosh I love this gift set Hazel! What a fabulous owl image and the bright colors are beautiful! So lovely colors you picked. Thank you very much for joining us at Addicted to Stamps and More!